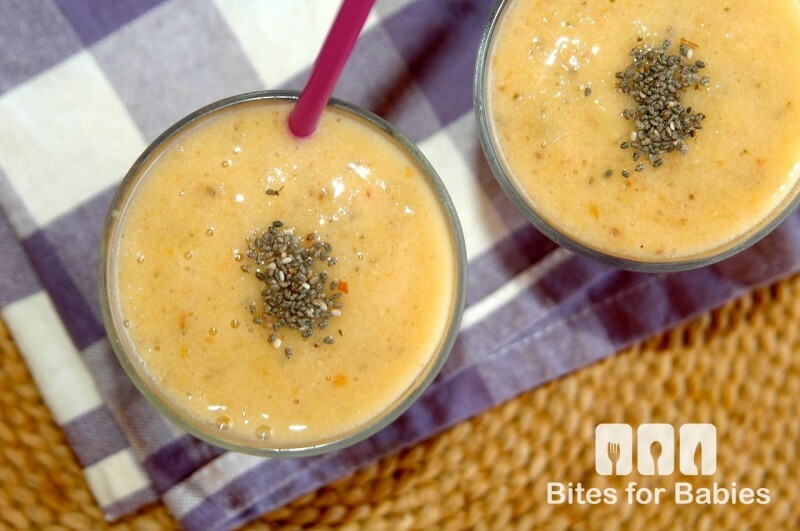 Sweet, creamy banana, tart peaches, and crunchy chia seeds make this banana peach chia smoothie a healthy, hearty treat for babies and toddlers of all ages. 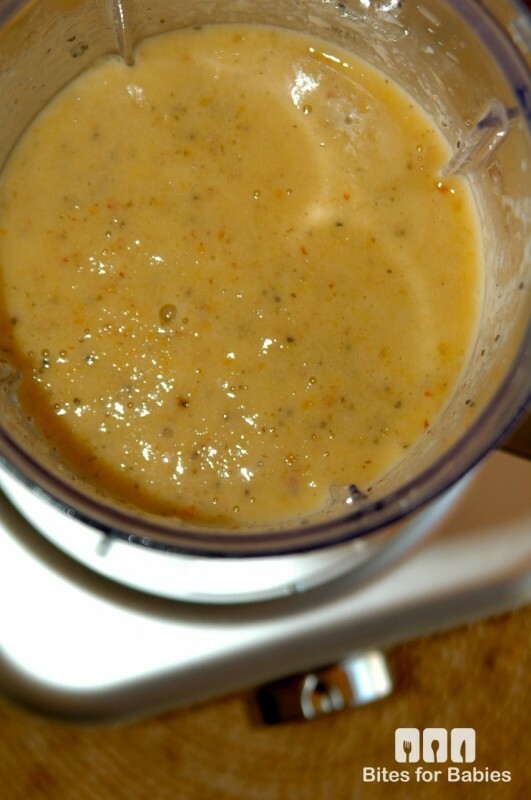 It doubles as a fresh puree for baby as well as a healthy snack for toddlers and adults alike. 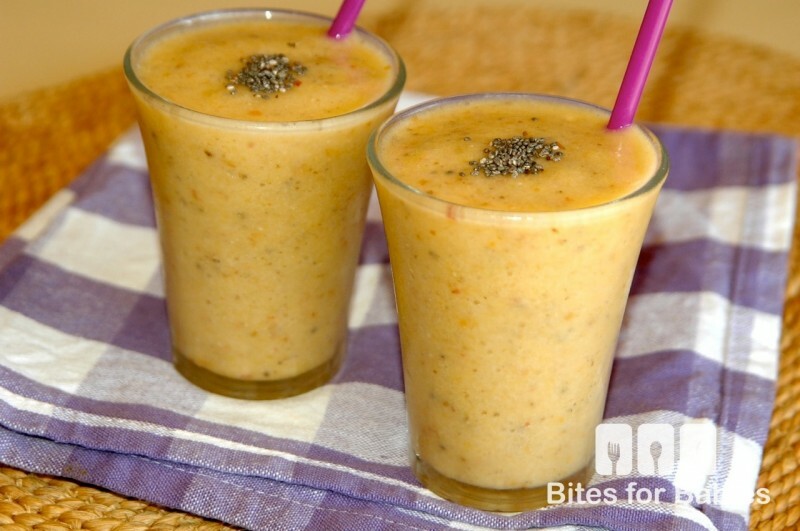 Smoothies are a great way to introduce babies to a variety of flavours in one bite. As adults, we eat a variety of foods on a daily basis, yet we tend to feed baby the same foods every day. It’s just as important to our kids with a varied menu and entice their palates by introducing and alternating between different textures and flavours. The concept is simple; choose fresh, seasonal, organic (whenever possible) fruits (and veggies), and combine them with a variety of additional flavour and health-enhancing ingredients, such as Greek yogurt, coconut flakes, flax seeds, and in this case, chia seeds. The sweet bananas and tangy peaches combined with the coconut milk make for a tropical inspired summer drink (of course, us adults could add a few extra ingredients in there to liven it up!). 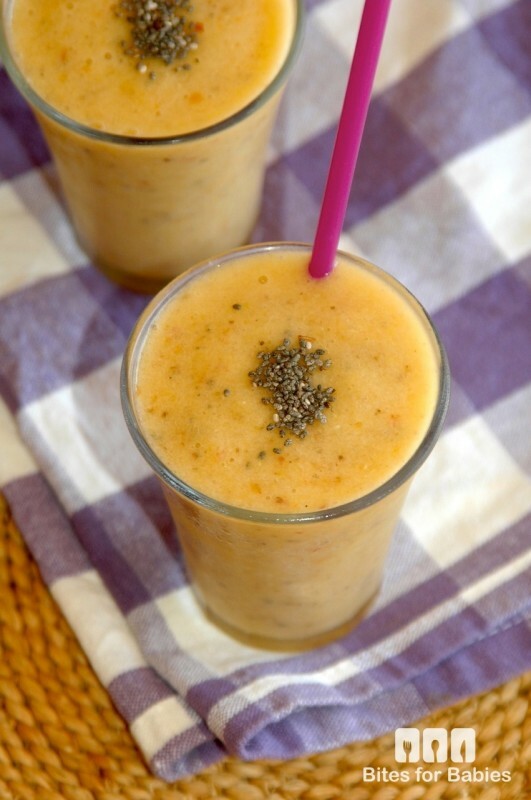 This smoothie also doubles as a fruit pudding! 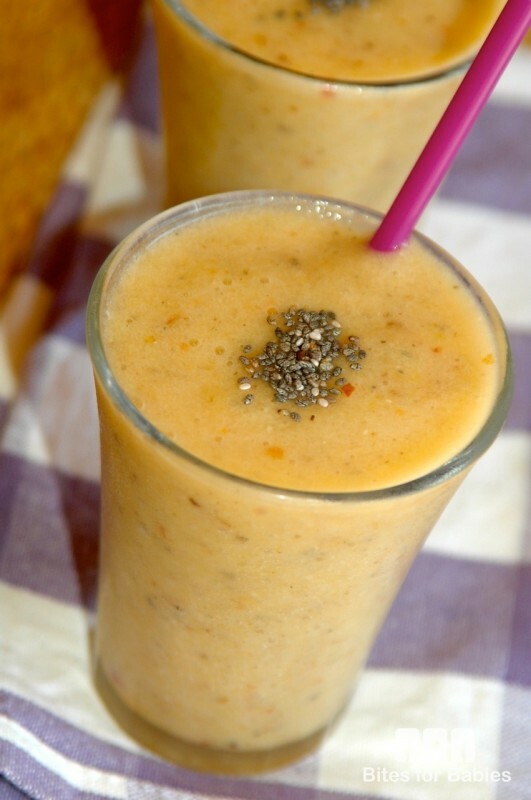 When consumed immediately, the chia seeds add a crunchy bite to the smoothie. You can also prepare ahead of snack time and store the smoothie in the fridge for a few hours, allowing the chia seeds to thicken into a dense, tapioca-style pudding. 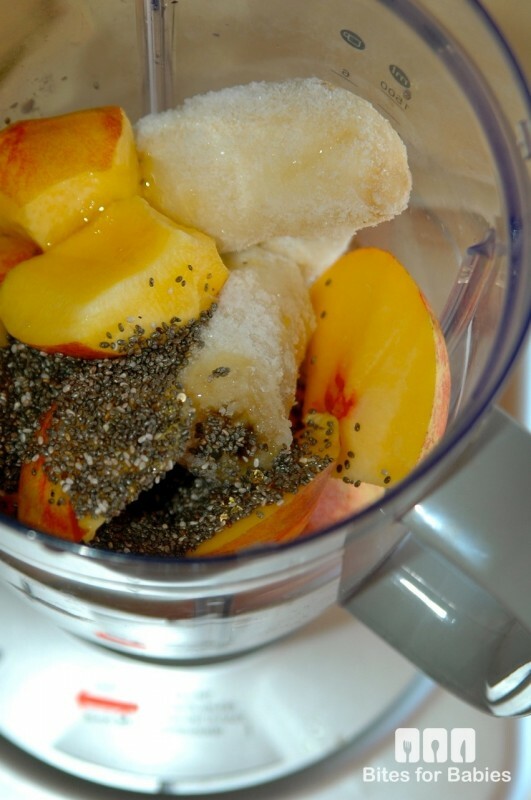 Place all ingredients in a large blender and puree until combined and smooth. *TIP: Add a small amount of of coconut milk at a time (about 1/4 cup) then continue to add as needed until you get the desired consistency. 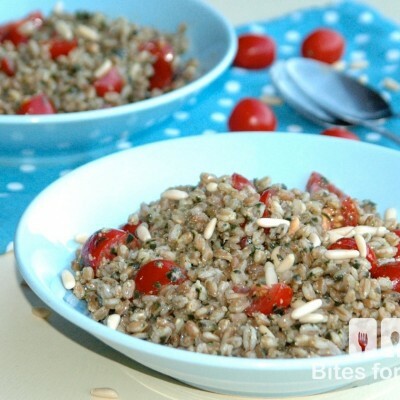 Serve immediately, garnished with additional chia seeds for added crunch, if desired. 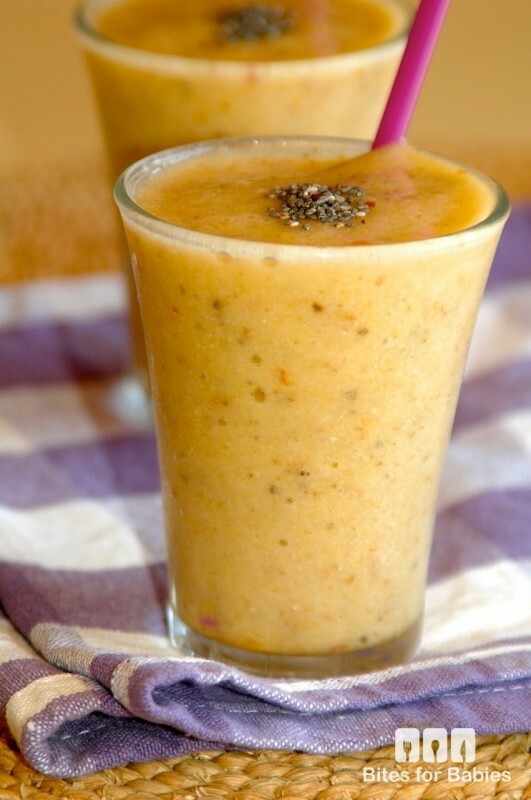 This smoothie is best consumed immediately. Although you can store it in the fridge for a day, be mindful that the bananas and peaches will lose their bright colour and freshness. What a lucky little babe to enjoy such a yummy drink! My kiddos LOVE smoothies and really enjoy helping to make them. I never use Chia seeds – thanks again for the idea. They went to town on this smoothie, lol! My son actually helped me make it…I can’t wait for my daughter to get involved too! I’ve been on a smoothie craze lately, so this is definitely something that I want to try for myself. Thanks for the share. Now I’m wondering if the seeds get soft or dissolve? I think I’d like them with the crunch when you first put them in there. 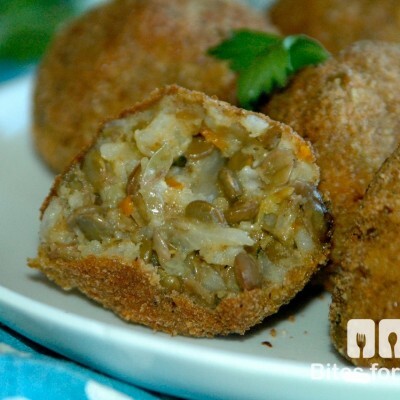 This looks/sounds tasty!